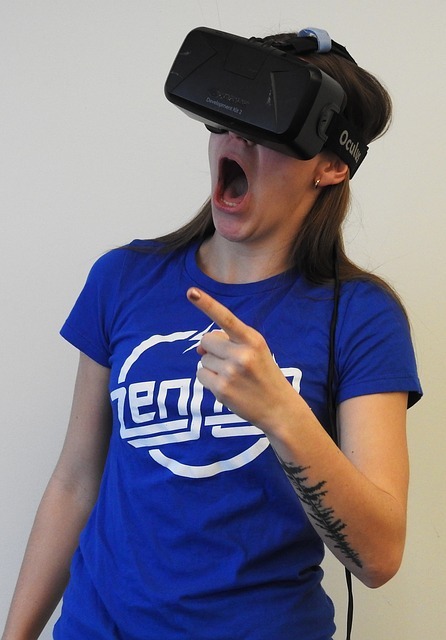 Check this starter virtual reality buyer's guide for anyone buying their first VR headset. This will be useful for new buyers of vr headset and controllers. We will discuss on how to choose a vr headset, platforms, vr accessories to buy, total budget to be allocated for buying a vr headset and the consolidated list of best vr headsets. Many are looking for the Best VR Headset 2018 India to buy the most advanced but affordable vr headset. I have decided to compile the Top 10 Best VR Headsets India 2018 with more price points. Here is the list of ten best Virtual Reality vr Headsets for PCs, android and iphones and consoles to buy in 2018 including HTC Vive, Oculus Rift, PlayStation VR Sony, Google Daydream View, Samsung Gear VR, Google Cardboard and Pansonite. Wearable Technology has progressed so far and it is up to the new Virtual Reality experience to get to the market. Video Game VR Headsets are popular among youngsters and children as they get a chance to fully immerse in the gaming experience. Virtual Reality is in the forefront of technology since some years now. 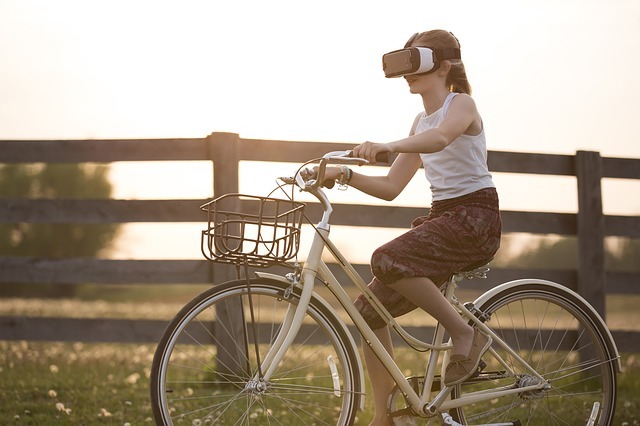 The immersive experience of Virtual reality is promoted within virtual reality games, virtual reality movies, virtual reality projects and architecture. 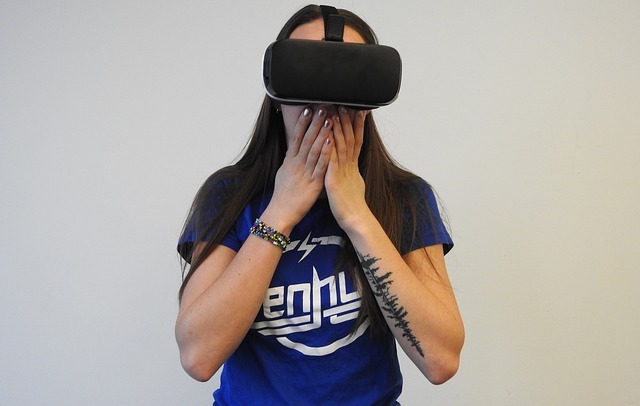 There are many virtual reality headset companies like Samsung, Asus, HTC, Google which are competing each other for the huge market of VR headset. 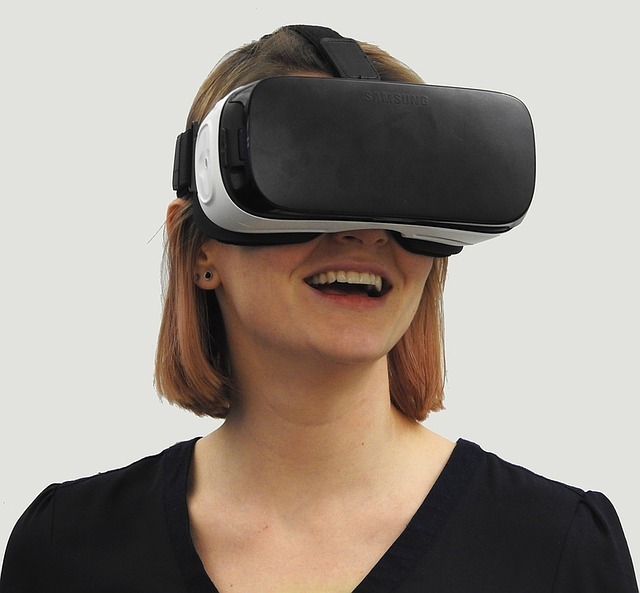 Virtual Reality headsets are used for pc, iphone, android phones and are available at ebay, Amazon, Walmart at cheaper rates. VR headset mainly fit into two categories; tethered vs. mobile. Tethered: Devices built from the ground up for VR to operate in a PC or gaming system and this needs powerful computing power and expensive. Mobile: Mobile vr headsets are portable and cheaper. Give you a glimpse of VR experience. It is high time to buy a nice VR (Virtual Reality) Headset to start the first steps to a whole new world of Virtual Reality. "Attempting to explain VR is like attempting to explain architecture by dancing." Well, there is only ONE problem. Finding a “Good” VR headset isn’t an easy job. After researching online and spending hours in researching about VR headsets, I have shortlisted the top 10 best VR (Virtual Reality) headsets which you can buy right now. Always buy official vr headset. How to choose a VR headset? Think about your need. Do you just want to have a VR experience? want to gift vr headset to someone? looking to play small games for casual or a serious gaming for hours. Choose it accordingly. You may need a Vive or Rift for serious gaming but need only a Google cardboard to get a feel of VR. Always buy a VR headset that has a motion controller. It won't be fun without the controllers. If the VR headset that you are planning to purchase do not provide one, you may need to buy a separate one. Add the amount of controllers to your VR headset budget. Consider what kind of extra accessories needed to get a full immersive experience in VR. A stand kit, hard travel case, audio strap, sensors, extension cables may be needed depending on the vr headset. What platform should I use for VR? You can use VR for smart phones, iphone, PCs and gaming platforms. Article published by Verge reviewed latest VR Headsets such as Google Cardboard, Homido, Zeiss Vr One, Gear Vr, Lg 360 Vr, Playstation Vr, Oculus Rift and Htc Vive. What VR accessories should I buy? You can buy controllers, sensors, goggles, covers, glasses to boost VR experience. How much should I pay for a VR headset? An article published in Telegraph has suggested to UK readers to buy cheaper VR Reality headphones if looking for casual VR experience. Homido Mini Virtual Reality Glasses for Smartphone and Google Cardboard cost only 8.99$ and 15$ respectively and are the best and cheap VR headsets in the VR market as of now. Buy as per your budget and your need. Now comes the result announcement to choose which vr headset should one buy. I have divided the vr headsets as per the budget. 3. Low Budget - DESTEK V4 VR, Pansonite Vr Headset and VR Goggles. Some of these VR headsets is very pricey and I would suggest go with budget ones. These Virtual Reality headets are awesome enough to get into our list of the top 10 best VR Headset to buy in 2018. I have not added PIMAX 4K Virtual Reality Headset VR Headset because of the negative reviews in Amazon. Now let us go through each of these VR headsets and see what are their features, performance, pros and cons. You may have tried a GEAR VR, watched a 3D movie or even experienced 3D desktop gaming. They are cool. This one here is completely out of the league. This is TOTALLY different. I used to spent more than 14 hours in gaming with CS GO and DOTA alone. With the latest VR headset from HTC and Valve Corporation, I decided to shift to VR experience and it does truly change your gaming experience to a new level. The HTC VIVE Virtual Reality System including VR headset and controllers provides a truly immersive experience to the user into the VR world. It is powered by Steam VR enabling user to enjoy more than 2800 games with auto game updates and exclusive new releases in the VR game market including Arizona sunshine, Doom VFR, Sprint Vector, Tilt brush, Raw Data, Fall out 4 VR, Elite Dangerous, Onward, Doom 3 BFG Mod and more. You may need to room especially dedicated for Vive to enjoy room scale VR. If you do not enough space, then you can set it up for standing. The box comes with all the necessary items needed to set up the item. You need to finish all the steps and can be done via Googling, Reddit forum or chat in Vive community forums and then enter the tutorial. Windows 7 may not install drivers for link box, then you may have to put in USB 2.0 slots. Always pair the controllers in the steam VR window by selecting "Pair Controller". Once tutorial is done you are ready to have VR gaming and Virtual Reality experience. Here you can blow up a balloon, The lab, Zombie Trainer, The Brookhaven Experiment, Audioshield, The longbow and more. The product dimensions are 18.4 x 13.1 x 9 inches weighing 11 pounds. 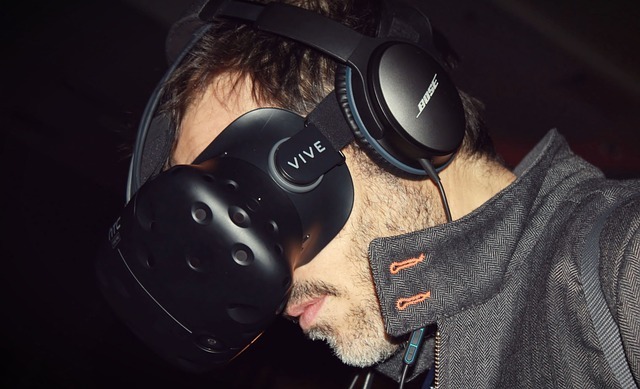 The only commercial headset with Room Scale VR- Free movement in room space up to 15’ by 15’. The VIVE system is not up to the budget class. You need a powerful computer with at least GeForce 1070 graphics card, tripods, mounts and other cool tech stuff to get the total VR experience. Careful use of touch controllers and lighthouse sensors is needed. Replacing a single controller or base station can be $130. No phone support for Vive. You may need to chat with the support team. 1. HTC Vive Deluxe Audio Strap - The Vive Delux Audio strap is nice addition to the VR system with fully integrated adjustable earphones to give you awesome 360 degree sound quality and improves the VR experience. 2. Fovitec - 2x 7'6" VR Gaming Lighthouse Mount Stand Kit - Comes with 2x 7'6" VR lighthouse stands, 2x tripod mini ball head mounts, 1x equipment carrying case for pairing with the HTC Vive wth high stability and Adjustable Positioning. 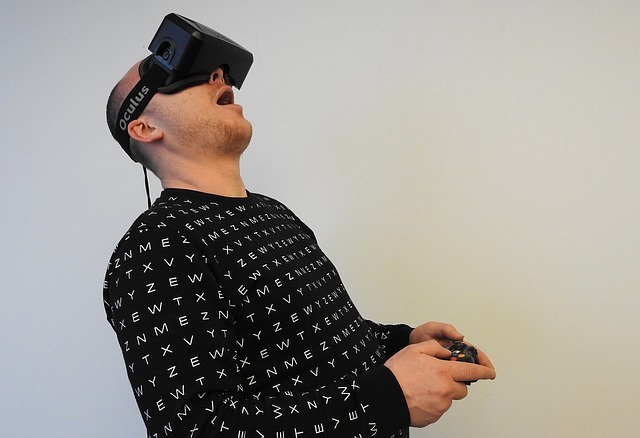 Oculus Rift is the next generation VR headset owned by Oculus VR, a division of Face book Inc. The new Oculus Rift all new bundle is launched in Amazon was originally released on March 28, 2016. It has light weight minimalist design suitable for full time gamers to move around and play games for hours. The button layout in the controller is very similar to Xbox One controller and is hugely helpful for children to use it. With smoother grip and fit like glove controller makes this, the best gift for children if you want them to have a VR experience. You get to play a number of new games including Robo recall, Lone Echo, Star Trek Bridge Crew, Powers United, Google Earth VR with street view, Elite Dangerous and Brass Tactics. You can buy Assetto Corsa vr for a superb racing experience. It is an absolutely Fantastic piece of design to get a fully immersive experience at a unique price point. You cannot fit in your glass, if you are using one.The first moments when you use Oculus would be the WOW moment then you will slowly will get addicted to it. Screen resolution does make a huge difference in VR game play. Looking at the current prospects, a 4K or even 2k would be fine. Alternative Graphics Card - NVIDIA GTX 960 / AMD Radeon R9 290 or greater. You need to download the Oculus software to power up the Rift. Then an initial training program will get booted up. If your native USB 3.0 ports in the PC is not supporting Rift, then you may have to buy Inateck KT5002 Super speed USB 3.0 PCI-E card. Great price point compared to other VR headsets in the market. Who wants a wire hanging in the back reminding not to move so much while playing?. The hanging cables are big disadvantage. The Xbox controller and Oculus Remote are not included in the bundle. Privacy Sharing Policy - Face book has the right to collect all the data of the user. 1. Oculus Sensor (Includes 16ft Repeater Cable) - Oculus Sensor is an optional accessory to track 360 Degree and Room Scale tracking constellations of IR LEDs to translate your movements in VR. 2. Cable Matters SuperSpeed USB 3.0 Type A Male to Female Extension Cable in Black 10 Feet - High performance USB 3.0 extension cable to connect with Windows PC and Oculus Rift. Sony is a pioneer in game development and electronic item manufacturing. This is a top notch VR headset from Sony Interactive Entertainment with advanced 5.7” OLED 1080p display running at up to 120 frames per second and 3D Audio Technology. This was originally launched on October 13, 2016 and was known as Project Morpheus in the development stage. Major features and advantages compared to competitors are cheaper price, positional tracking and wide spread. It gives you access to first and third party games such as Until Dawn: Rush of Blood, Arkham VR, London Heist, Job simulator, Rush of blood, Gunjack, VR Playroom, Job Simulator, Brookhaven Experiment, Thumper, Batman and Danger Ball. Long story short, It is great FUN!! This is a first generation VR headsets from Sony and they have a long way to go in developing more features and raise the performance bar. As of now, one of the best VR headset in the market. Sony has focused all the effort to bring more style and comfort to users by making it light and attractive. I can assure you that everyone including family, friends, boyfriend and girlfriend will fall flat for this. The bundle contains PlayStation VR headset, Processor unit, PlayStation VR headset connection cable, HDMI cable, USB cable, Stereo headphones, AC power cord, AC adapter and PlayStation VR Demo Disc. Plug and Play an added advantage of this VR set. Many regular users often complain that the installation of VR headset are hectic and takes a lot of time and energy. You can buy this headset with easy plug and play installation. It takes only ten minutes set up and power up. Advanced AMOLED screens with awesome contrast ratio. 3D audio technology serves you better in playing games. Just Plug and Play for Regular users. Wires and more wires. Takes some time to untangle it. Does not come with a core version. 1. PlayStation Move Motion Controllers - Two Pack - Anyone want to play badminton, tennis, cricket, super hot VR in the virtual world with best of experience. You cannot skip these motion controllers that comes with advanced motion sensing, light tracking technology, easily accessible trigger, micro USB connections and face buttons. This has some negative reviews, so you can try out Sony PlayStation 3 Move Motion Controller. This is used for Ps 3 and works for PS 4. This will work for the VR and comparatively cheaper than the previous PlayStation move motion controller. Google has launched the latest VR headset with a caption of not to just see the World, but experience it. This handy fantastic piece of hardware bring you live to the immersive experience of VR World. Google VR headsets has tremendous potential and is going to be the highest competition for Rift and Vive with an affordable price and full 360 degree panoramic view.It comes with great games such as Need for speed no limits VR, Eclipse - edge of light, Virtual rabbids - the big plan, hungry shark, builder vr, gun jack 2, danger goat. A removable top strap and a handy slot to store the controller are added advantages. It supports Daydream-ready phones such as Pixel 2, Pixel, Galaxy S9/S9+, Galaxy S8/S8+, Galaxy Note 8, ZenFone AR Axon 7, Mate 9 Pro and Moto Z & Z2. The breathable fabric and durable and lightweight made is truly needs appreciation. The VR headset look like a binocular with a flip but gives a powerful VR experience. Truly a WOW VR experience at cheaper price. You can use it with all android phones. Use with Android VR apps and watch VR videos. Simple features and not even comparable with actual VR headset like Vive or Rift. No knob for adjusting focus. The Daydream controller is an added benefit for playing games and move naturally. You can buy the latest version from Official Google Store. 1. Hard Travel Case for Google Daydream View VR Headset - Google OEM Daydream View - VR Headset (Slate) has to be managed carefully and there is chance that it might break while you take it for travel. It is highly recommended to buy this travel case to keep it packed tightly to avoid breakage and scratches. 2. LTGEM Hard Case Travel Bag - The hard carry case is shockproof, dust proof and water resistant. The case comes with hand strap and have enough space for cables, controller, spare controller and you can keep them in the lid zipper pouch. The case is made from Ethylene-vinyl acetate aka EVA that provides lesser padding and more flexibility. You can surely buy this one. Samsung company is famous for Android phones with Galaxy series, Prime series etc. The company is highly competent in the VR market launching Gear VR for the best buy price. First of all this SM-R325NZVAXAR model is powered by Oculus. This means these vr headsets can be synced with Facebook account and can be operated without it also. This vr headset comes with multiple sensors - Accelerometer, Gyro Sensor, Proximity Sensor. It can be used with Samsung Galaxy USB Type-C models: Note8, Galaxy S8, Galaxy S8+, Galaxy S9, Galaxy S9+ ; and Micro USB models: Galaxy S7, Galaxy S7 edge, Galaxy Note5, Galaxy S6, Galaxy S6 edge and Galaxy S6 edge+. The volume adjustment rocker has been removed in this model compared to the previous model of gear vr headset SM-R324. Now you can control the volume through your phone. Your phone powers the headset and no batteries are needed for powering up headset. You need two AAA batteries for powering up the controllers. Insert your compatible Samsung phone into the interchangeable USB-C or microUSB connector on front of headset. Follow on-screen instructions for installing the Oculus app. Once Oculus app is installed you have to pair the controllers. Follow instructions on controller pairing. Relatively inexpensive compared to other vr headsets. Works beautifully with Samsung flagship phones. Gear VR id not for children under 13. It is NOT compatible withGalaxy S6/S7/S8 Active smartphones. Lenses can get fogged up. Check for model number if you have ordered online. SM-R324 is the older model and return it if you get this model. The new model number is SM-R325. You can check for volume rocker. Volume rocker is removed in the newer model. 1. Samsung Qi Certified Fast Charge Wireless Charger Stand (2018 Edition) - US Version - Black - You can use this device to charge all the Qi compatible phones such as Samsung Galaxy S8, S8+, Note 8, Apple iPhone 8, iPhone 8 Plus, iPhone X. 2. Samsung Gear IconX (2018 Edition) Bluetooth Cord-free Fitness Earbuds, w/ On-board 4Gb MP3 Player - Best investment with amazing sound quality and space for up to 1000 songs. Looking for the cheapest VR headset, then you can buy Google Cardboard without thinking twice. Google cardboard is vr headest made cheaper. The best advantage of Google cardboard is that you can use it for Android 4.1 or higher, or iOS 8.0 or higher phone with screen sizes from 4 to 6 inches with vr apps. You can download vr youtube videos by searching "360 videos" in you tube and play via VR movie player to get the fully immersible vr experience. You can download the Google Cardboard app from play store and enjoy unlimited VR demos including games, videos, maps and more. Does not work with iphone 5s and lower versions. 1. Elastic Detachable Headband for Google Cardboard - Made from Nylon and very durable. Provides a stable vr experience and only works with Google cardboard vr. Pansonite Vr Headsets comes with Remote Controller, 3d Glasses Virtual Reality Headset for VR Games & 3D Movies and integrated Eye Care System for iPhone and Android Smartphones. HD resin aspherical lens to reduce the feel of having vertigo after continuous use for hours. Adjustable Pupil focus and Adjustable focus distance for better 3D experience. Years of Development and the Latest Version of VR is here. It works with most of the Android phones and other smart phones with a screen size within 4.7- 6.0 inches including iPhone X 8 7 plus / 6s / 6/6 plus. It also works with Daydream phones like Google Pixel/Pixel XL, Samsung s8/s8 plus, Moto Z/Z Force, Huawei Mate 9 Pro;Nexus 5, 6P ;OnePlus 5;HTC U11 etc. Kids can use it easily. The Instructions to set up the VR headset are in Chinese. Container and head strap does not fit correctly. VR headsets comes with 3D Virtual Reality Goggles and headset. This VR Headset is used with iPhone 7 Plus, 6, 5 and most Samsung Android Phones.The design of this VR headset is what attracts many. The conical eye look is very catchy. 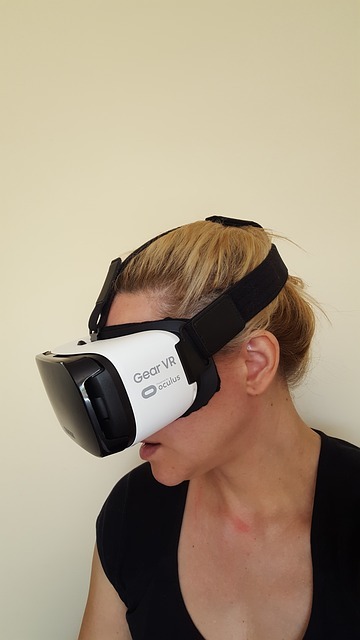 This VR headset comes with 38mm high quality lenses and adjustable lenses.Compatible with iPhone, Samsung, Google, HTC, Honor, Sony and every smartphone with screen sizes from 4.7”-6”. Rubbery finish is great and does not get dirty fast. Compatible with drones. You can switch between the drone-view and the phone-camera view with the touch of a button on the controller. Some parts are made of plastic so may not be durable for long term. Some apps may overheat the phone. Dell Visor VR Headsets comes up not just vr but also mixed reality with two controllers with removable batteries. The great advantage of it is that the sensors are on the face of visor. You do not need to go around the house to set up sensors. Middle class man's VR. Great for VRChat. You have to install "Windows Mixed Reality for SteamVR" available on Steam and Revive to get it function with Rift &/or Vive software. Great compatibility with Steam VR and Oculus games. Controllers are not that efficient. Destek is a new name in the vr market and it has launched the new eye protected HD vr hedset in 2018. These vr headsets has 103°VR View, Eye Protected Anti-blue Light HD Lenses and Bluetooth Remote Controller. This vr headset supports most of the smartphones with 4.5-6 inches screen. The conductive touch button works with apps and games like VR flight simulator, Alien Attack VR, VR Cardboard Shooter 3D, Wizard Academy VR, Lady Vs Monster VR, VR Archery, VR Street Jump, etc. Great performing VR headset at this price point. Comes with DESTEK V4 VR Headset, DESTEK Remote Controller, Portable Storage Bag, User Manual, Cleaning Cloth and Extra EVA Pads. Microsoft has announced the whole new game changer for students and teachers. This latest innovation is called Windows Mixed Reality. Hololens is the new invention from Microsoft to up the game for Google Glass, Kinect, Oculus Rift, VR headsets. I will try to add an overview what is Windows Mixed Reality and how professionals and students in colleges, universities are going to benefit from it in the future. With the use of Windows tools, you can set up digital things in virtual reality creating a mixed reality. To be little more clear, by using a mixed reality headset, you can see and control 3D digital objects in the real world. Windows Mixed reality uses HoloLens to blend 3D objects with the physical world. Hololens creates holograms and allow user to control the digital content with Gaze, Gesture [Touch] and Voice. The development edition of Hololens starts from $3,000. There are clear differences between these three. It may be little confusing first. Here is a short explanation for understanding more about the difference. You can watch more videos in YouTube. Augmented Reality : The physical objects in real world environment are augmented or enhanced to digitally controlled 3D objects. User can only see the augmented objects that are limited with the screen size of the device. Virtual Reality: Virtual reality is a fully immersive computer simulated environment that gives a user the feelings of being in that environment instead of the physical world. Mixed Reality: Mixed reality is known as hybrid reality where the real world and digital world are mixed each other and interact in real time. The digital objects are displayed in the real world and allows user to control them. There are various products in the market currently. HP. Asus, Acer reality headsets, wireless controllers, headphones, Backpack / Rucksack / Case / Travel Case For The Windows Mixed Reality Headsets, Premium Quality In-Ear Headphones etc. Acer's Mixed Reality headset blend the physical and virtual world and is totally a new cool tech and advanced than virtual reality. The technology is still in nascent stage but have huge opportunities in the future. The inside-out tracking is exceptional and provide more freedom to the user to move around with whole new flip visor and adjustable headband. You cannot replace HTC Vive or Oculus Rift for this, if you are looking for gaming. Acer has launched this amazing mixed reality headset with wireless controllers that enables you to control digital 3D objects. The product is listed in Amazon.com. You can Order The Item Before it gets out of stock.